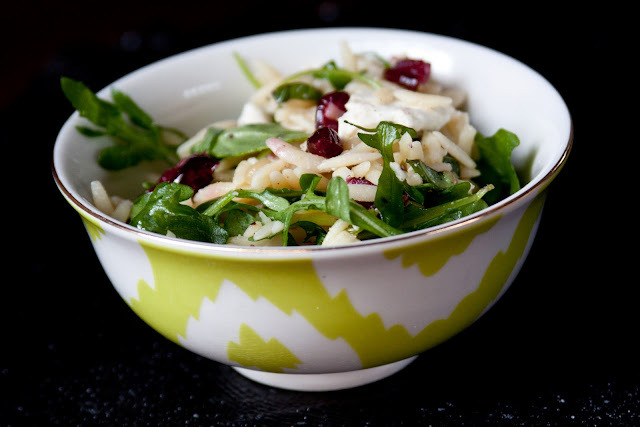 Once the orzo is cool, transfer to a large serving bowl. Add the remaining ingredients and toss gently to combine. Serves 4 to 6. 1. If you would like to make this a more substantial dish, add roasted chicken or shrimp to the recipe. 2. I usually make this the night before my event. 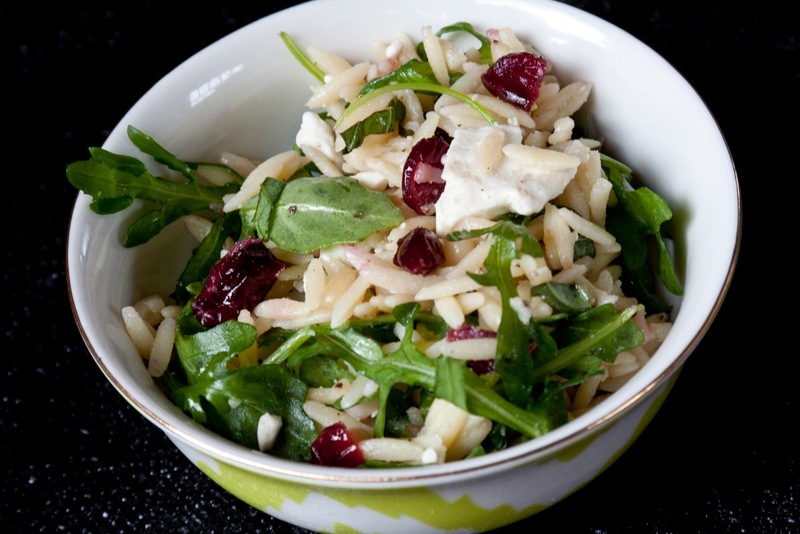 Don't add the basil and arugula until the day of your party. Also, I generally have to add more lemon juice the morning of the party to add brightness. 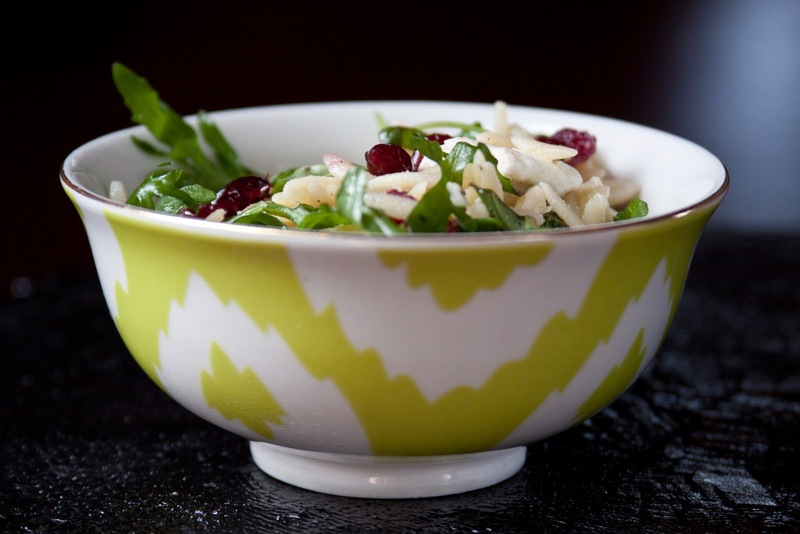 PS: Do you love my bowl from Anthropologie, it's no longer available online but I just bought this in the store a couple weeks ago. Also, here is the link to the original recipe. i have GOT to try yours! i make one super duper similar..except with tons of chopped spinach..and grilled chicken..and a raspberry vinaigrette..
arugula must make it off the charts! This looks delicious and so healthy!! Love the Anthro bowl too. I just found your blog and I'm hooked! Talk about talent. Your party planning skills are amazing. I just gave a little shout out to you on my blog! This salad looks amazing. I tried to buy the bowls online some time ago but they were already unavailable. I wish I lived close to a store.